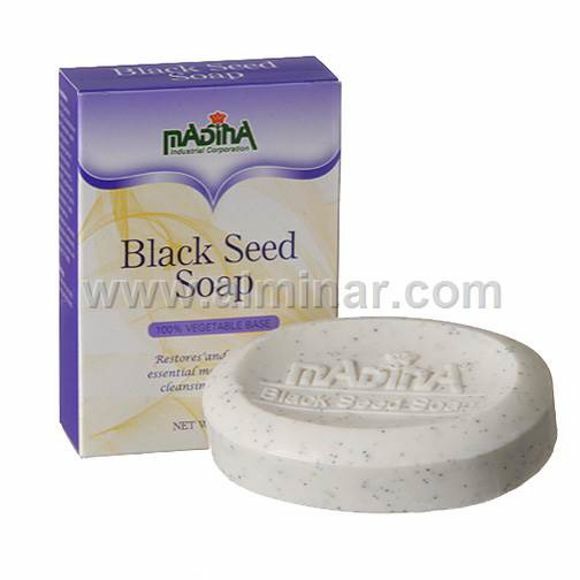 Full Description: Black Seed Soap has powerful anti-aging properties of black seed soil mixed with the healing properties of Shea butter and Jojoba Oil. Our special formula protects and cleanses your skin while the aroma refreshes your mind and body. Restores and controls essential moisture while cleansing your skin.